Relieve your pain. Improve your vitality. Empower yourself to heal. Improve the results of any professional care you receive. Save money, time and unnecessary pain. Do it all 100% naturally, anytime and anywhere. How much is something that helps you to accomplish all this worth? 15 day money back guarantee. We think you’ll agree Dr. Cohen’s acuProducts are truly unbeatable health care value. They pay for themselves the very first time you use them and keep on giving! We invite you to try them for yourself to experience firsthand just how powerful they are. The acuBall is the product of ten years of research and testing and the result of Dr. Cohen’s personal studies of native healing techniques in many countries around the world. The acuBall is now utilized as part of the training programs of professional sports teams and in hospitals for varied uses from hand rehabilitation to burn patient rehabilitation where it helps patients to break down scarring. 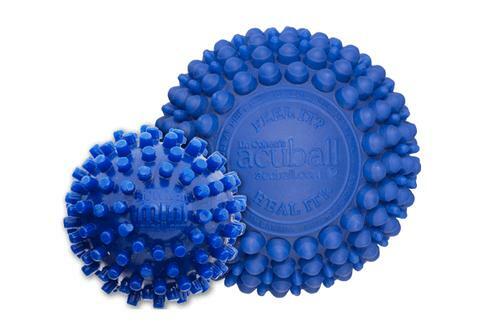 100% Natural Muscle & Joint Pain Relief: The acuProducts’ patented design features apply 100% natural acupressure and heat:relaxing tight muscles & connective tissue, enhancing joint movement, reducing nervous system irritation and creating a significant de‑stressing effect. Stimulates Blood Flow: 3 acuProducts create unique therapeutic effects within 3 minutes of use: the Central Nervous System relaxes, tight muscle and connective tissue begin to unwind and circulation increases helping to ‘flush out’ built up toxins that accumulate in tight muscles over time causing pain. Releases Natural Painkillers: 4 The combination of the acuProducts’ specially designed acupoints and heating ability relaxes your Central Nervous System, like acupuncture does, to release natural painkilling and mood enhancing chemicals like enkephalins and endorphins. Please leave your message and we will respond within 24 hours.